I started growing bok choy due to popular demand from my neighbors (and after tasting some locally grown crop). I have some in dirt containers and some in the hydroponic planters. They are currently small, but are growing quickly. The packet said that they mature in about 50 days, fast enough to be done before my spring planting. The plants are comings along nicely after a few days. 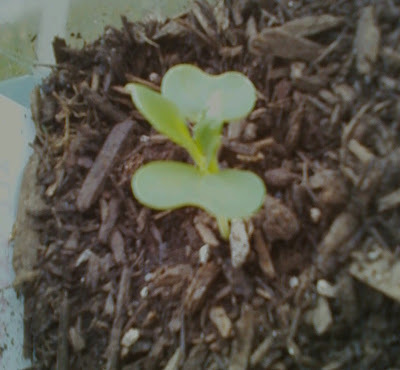 The soil ones are doing better, but the hydroponic ones are not too far behind. A recent heat wave caused all of my plants to bolt, so I lost mostly all of my harvest. I guess the seeds aren't a bad consolation prize though. I grew more next winter, exclusively in the Kratky/DWC setup I have, and they are doing much better than last year's crop. They grew quickly and were tasty. Traits: Can be regrown from base of old plant. 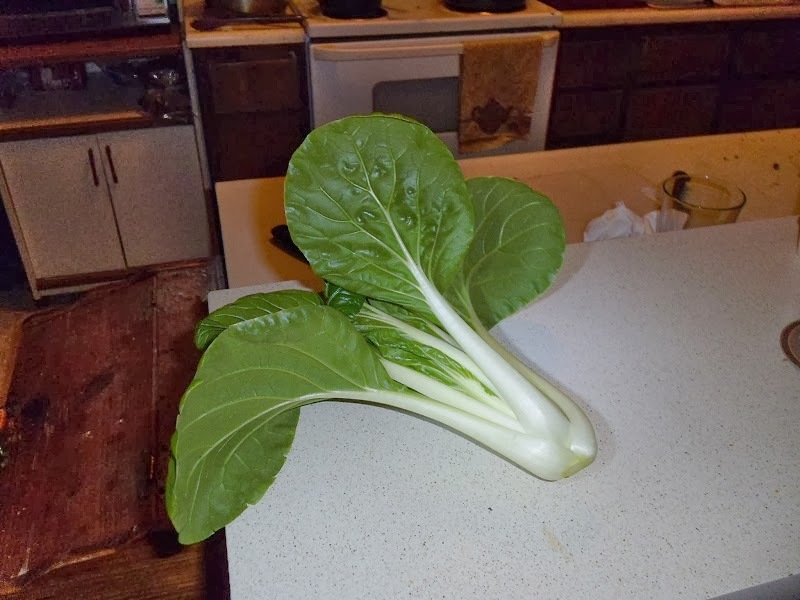 Companion Plants: Beans, peas; Bok Choy is a heavy feeder. Do not plant near strawberries or tomatos. When to plant: Plant as a winter crop in warmer areas. Grows well from fall to late spring. How to grow: Plant seeds in ground about 4 inches apart. Thin seedlings to stand between 8-12 inches. If using containers, 1 plant in a 1-2 gallon bucket. Can be grown hydroponically using the Kratky, DWC, or other methods. How to harvest: Cut leaves as needed, or cut the whole plant for a "cut and come again" harvest (the base regrows itself). 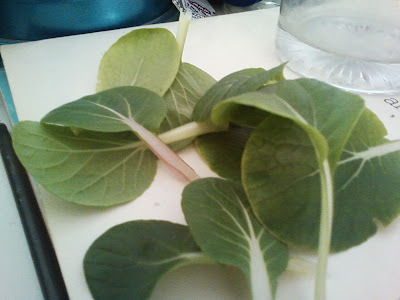 You can harvest as "baby bok choy" when the plant is small.